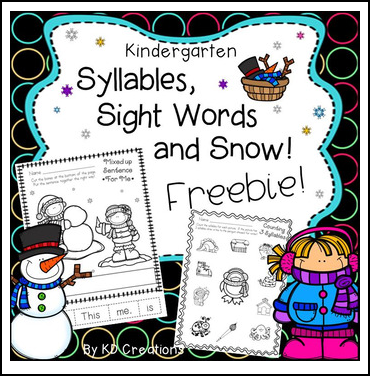 Your Kindergarten students will enjoy practicing syllables and sight words with these winter activities! This freebie is a sample of our Kindergarten Syllables, Sight Words and Snow! resource. Kindergarten Syllables, Sight Words and Snow! * Don't forget to follow our store so we can let you know about future freebies, new products and sales! And be sure to leave feedback so you will earn TpT credits for your purchases!